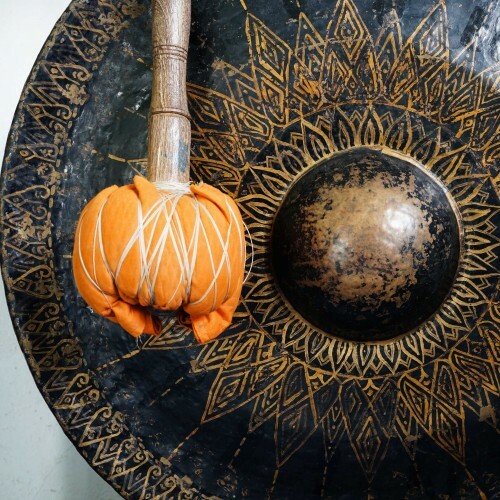 During a gong bath you lie down on a comfortable mat beneath a blanket and are immersed in waves of sound. It is a relaxing, healing and rejuvenating experience, partly because you cannot help but switch off from everyday concerns and partly because the brain starts producing Alpha (associated with meditation) then Theta (associated with deep relaxation and dreaming) waves. A gong bath puts you in touch with the primordial vibration that underlies the universe and which is at the core of your own being.